Makoto Shinkai’s (The Garden Of Words) anime masterpiece Your Name (Kimi no Na wa) is being released in cinemas for a limited run this December. The film revolves around Mitsuha – a female high school student living in a rural town in the mountains, yearning for a life in cosmopolitan Tokyo – and Taki, a male high school student living in central Tokyo. One night the two, hundreds of miles apart, share a vision of each other and their lifestyle. The film explores the mystery behind their unique personal phenomenon. 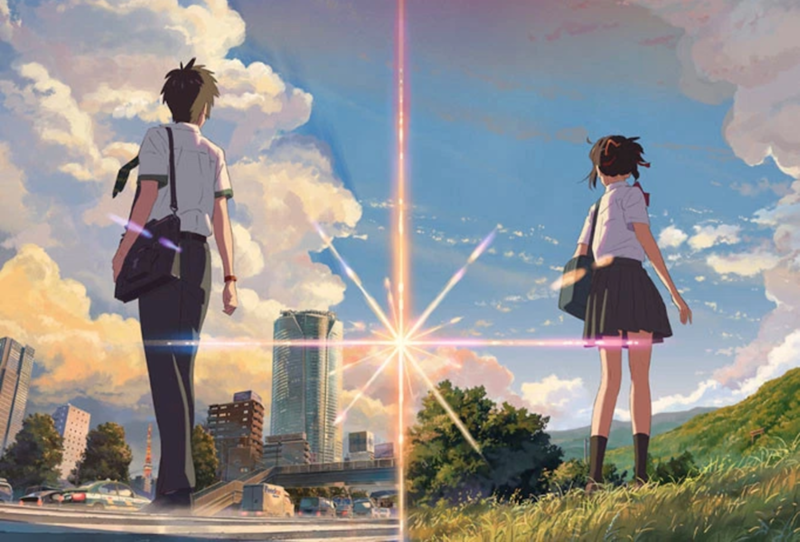 Your Name has captivated audiences in Japan, and currently holds the #1 spot in the Japanese box office where it has remained for nine weeks straight! If you needed more convincing, the film now resides at #9 on Japan’s highest grossing films of all time – even ahead of Studio Ghibli classics Ponyo and The Wind Rises. Shinkai aside, the film also boasts the talents of Masashi Ando (Spirited Away, When Marnie Was There) as animation director, and Masayoshi Tanaka (The Anthem Of The Heart) as the character designer. Your Name is in New Zealand cinemas from December 1st.